Real stories. Research based. Business focused. We may not think about our habits often. Unlike goals, habits are not a one-time affair. We never "achieve" a habit. We can only strengthen it. By cultivating the right habits and routines, we will accomplish more in the long run. Before I decide what to buy, I read the reviews. The more time I spend online, the more confused and frustrated I become. There is there a better way. I will share with you my approach for navigating the review jungle to make better decisions. You can use the same approach to make any kind of decision at work or at home. 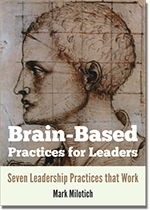 …chock full of the latest brain science to explain not just what you should do to be a great leader & manager but importantly—WHY.